This listing is for THIS SAMPLE ONLY... Please check my other sections for custom ordering. Sample Sale! Whenever I get a new wood or idea, a sample must be made. Sometimes, a chunk of wood will just cry out to "be". I am running out of storage space and I don't do shows anymore so I need to downsize my stockpile. 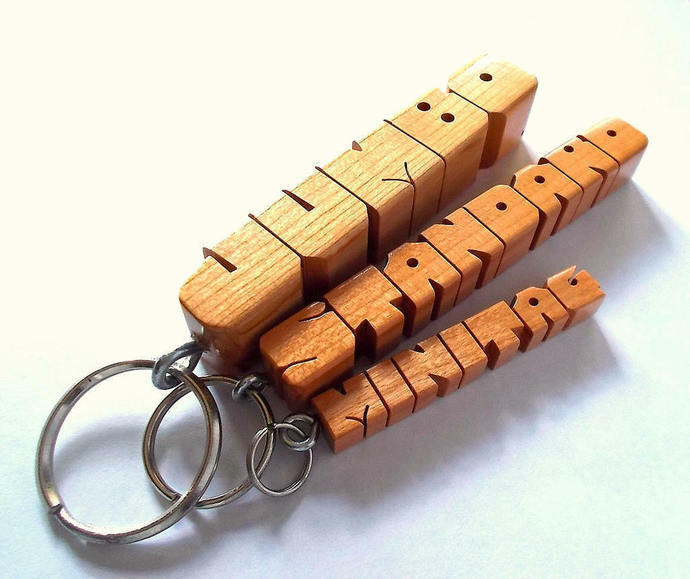 MINITAG: Although similar in appearance, this wooden name charm is 33% smaller than my Standard Keychain. The last photo shows the size differences. It measures approximately 3/8 x 3/8 x 2 1/4" inches, with the 1/2" split ring. It makes for an excellent pendant, zipper pull or charm for your purse, backpack, tote, luggage, etc., (even an occasional Key Fob). The sample shown has never been used and is ready to ship. The item you see is what you will get. "Conquering the world... one keychain at a time." 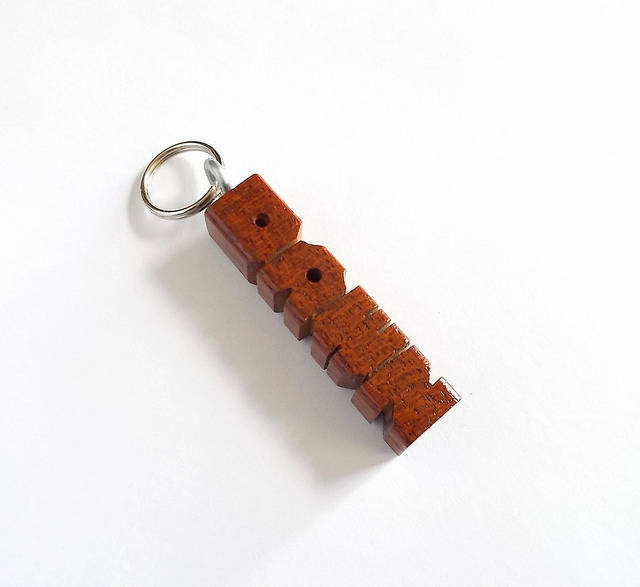 Specializing in handmade name KEYCHAINS and CHOPSTICKS. Orders are carved and shipped within 3 business days. "Sneak Peeks" of your custom orders when ready.